https://rising.globalvoices.org/files/2019/02/VbskmXux_400x400-1-200x200... 200w" sizes=" 400px) 100vw, 400px" />In 2019, we are inviting several hosts to manage the @ActLenguas (Language Activism) Twitter account and to share their experiences with the revitalization and promotion of their native languages. This profile post is about the team behind Kimeltuwe (@Kimeltuwe) and what they plan to discuss during their week as host. 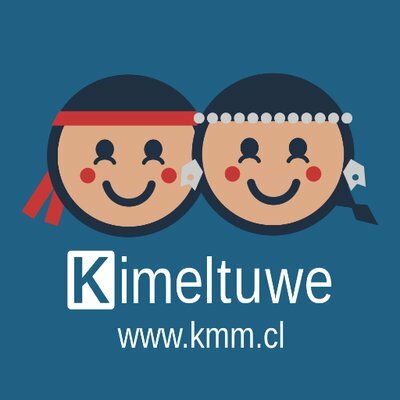 We're Kimeltuwe from Wallmapu, Mapuche territory (Chilean side). We're involved with the sharing of Mapuche language and culture on social media through images, videos, gifs, and articles, using all of the social media platforms like Facebook, Twitter, Instagram, YouTube, dnd blogs. La presencia del Mapuzungun, idioma Mapuche en internet es aún muy escasa. Si bien existe presencia en distintos sitios, siempre es al alero del español, pues no existe monolinguismo. En cambio fuera de internet existe más presencia en taller de idioma en distintas ciudades ya se de Chile como de Argentina. The presence of Mapuzungun, the Mapuche language on the internet is still very scarce. Although there is a presence in different places, it is always under the shadow of Spanish, because there is no monolinguism. On the other hand, outside the internet, there is more presence in language workshops in different cities, whether in Chile or in Argentina. We'll show how the Mapuche language is (such as grammar), we'll also share memes and emoticons. RV: What are the main motivations for your digital activism for your language? Show the validity, versatility and adaptation of our language, give presence in virtual world invaded by dominant language. In the not too distant future, we want to have the possibility that social networks will provide the option to be in our language.